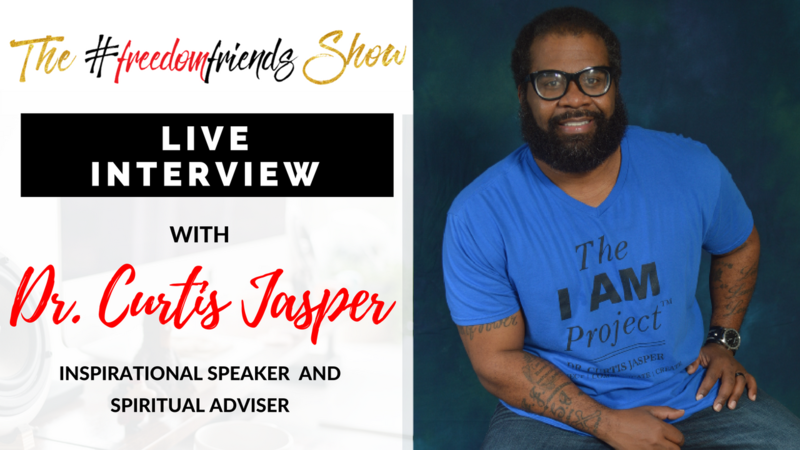 Today we talk to Inspirational Speaker and Spiritual Adviser who also happened to be my 8th grade teacher Dr. Curtis Jasper as we talk about how he helped individuals and families achieve success in all facets of Human endeavors by supporting, assisting, guiding and counseling. Dr. C. Jaspers and I have a great time sharing our experiences with achieving goals, freedom, inner peace, self-mastery and quality relationships. What are the 3 things that you can do right now to achieve your goals? How to keep your clients or customers informed that your business still exists. Learn different approach to stay motivated and keep going. How to improve your life through personal reflexion and self-worth. Dr. Curtis Jasper is a Transpersonal Integrated Counselor, Coach, Author, Inspirational Speaker, Ordained Minister, Spiritual Adviser, Mentor, and Human Consciousness Researcher. He is also a loving husband and father. He is the author of I Am The SOULution; 8 Transformational Approaches To Turning Obstacles Into Opportunity; and The 40 Day Journey – A Journal of Self-Actualization, Transformation, and Release Workbook. Dr. Curtis Jasper used to work for the Dept. of Juvenile Justice Governance Committee and the Dept of Juvenile Justice Office of ReEntry Services Task Force before he became the Executive Director of the I Am Project, and The I Am International Inc. A Georgia nonprofit organization which focuses on self-empowerment, and emotional intelligence through mentoring, coaching and teaching classes for young men.